V8 Flotect® Flow Switch Protects Equipment: Operation is simple and dependable. In most applications, the switch is normally off while there is sufficient flow of liquid or air. 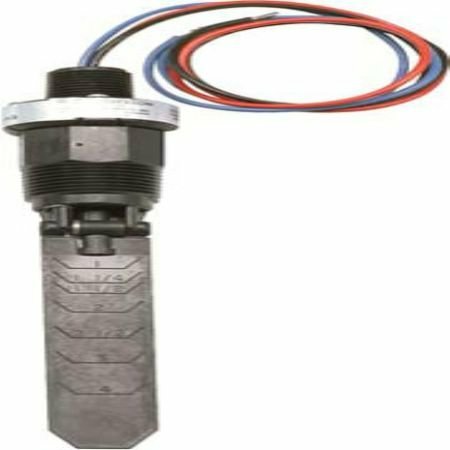 When flow stops, the vane spring moves the vane, actuating a single pole double throw switch rated 5A @ 120/250 VAC to start or stop motor, pump, engine, etc. Operate a damper or valve; shut down a burner or actuate an alarm or signal, protecting unattended equipment from damage or loss of production. Applications are chemical processing, air conditioning, refrigeration, heating systems, cooling lines, machinery, liquid transfer systems, water treatment, food processing, and machine tools. Also, other applications compatible with the materials of construction.